The following statement was issued today [Friday] by Ed Moloney, the former director of Boston College’s Belfast Project, in regard to the PSNI’s attempt to access the project’s confidential interviews. When the US government served subpoenas on Boston College’s Belfast Project archive in May 2011 on behalf of the PSNI, the subsequent legal challenge was led by Boston College and the strategy was decided by the College’s leaders in consultation with their lawyers. These were not our lawyers, nor our strategy. Eventually, dissatisfaction with the Boston College strategy persuaded us to break from them and to hire our own attorneys, Eamonn Dornan and Jim Cotter and to devise our own strategy in consultation with them. We had important, perhaps decisive things to say but we needed to say them in a court of law where we had a chance of overturning the subpoenas. We had been trying to get the go-ahead from a US court to intervene at which point we could make these arguments public during a decisive hearing in an American court. So far we have not succeeded. Now that there is a possibility of a Judicial Review being held in Belfast we believe that this moment has come. Accordingly, I have sworn an affidavit for the Belfast court this morning summarizing the essential facts and my statement below goes into far more detail. When this research project at Boston College (BC) began we gave interviewees a pledge that nothing of what they said would be revealed until their deaths. I intend to keep that promise. But the pledge did not cover what the interviewees did not say. I now wish to make the following facts public: in her interviews with BC researcher, Anthony McIntyre, Dolours Price did not once mention the name Jean McConville. The subject of that unfortunate woman’s disappearance is not even mentioned. Not once. Neither are the allegations that Dolours Price was involved in any other disappearance carried out by the IRA in Belfast, nor that she received orders to disappear people from Gerry Adams or any other IRA figure. None of this is in her interviews with Anthony McIntyre. The subpoena served in May 2011 by the US government on behalf of the Police Service of Northern Ireland (PSNI) seeking her interviews, which was followed in August by other subpoenas seeking more interviews from the BC archive, was based upon a false newspaper report in Northern Ireland published in February 2010 alleging that she had talked about the disappearance of Jean McConville to Anthony McIntyre for the BC project. The McIntyre-Price-BC interviews are the wellspring for this extensive legal action carried out by the British and American governments, a legal action that could do irreparable harm to the peace process in Northern Ireland, irretrievably reduce academic and media freedoms in the United States and imperil the lives of researchers and interviewees alike. In this document I will provide evidence to show that the PSNI failed in its basic duty of establishing the reliability and credibility of the false newspaper report until fifteen months after the article had appeared and after the subpoenas had been served on BC. There is a responsibility on a police force in such circumstances to seek evidence firstly from the sources that are nearest to hand, what the American legal system calls “the least sensitive source”. This the PSNI did not do. I will show that the PSNI moved to check the newspaper material or gather evidence only after I had placed on legal record with the District Court in Boston my belief that the basis for the subpoena was flawed and that the taped interview referred to was not from BC but was made by the Belfast daily newspaper, The Irish News. The evidence I now present establishes beyond any doubt that the first subpoena was deeply flawed. The United States Department of Justice presumably believed that the PSNI had carried out due diligence before embarking on the subpoena route but in that respect it was either mistaken or misled. This was an egregious abuse by the PSNI of the Mutual Legal Assistance Treaty (MLAT) between the US and the UK which facilitated these subpoenas. Under the terms of the MLAT, myself and Anthony McIntyre were barred from opposing the action in court. This abuse of the MLAT by the PSNI demonstrates beyond peradventure the need for Congress to urgently rewrite these treaties to prevent a future similar injustice. I will now describe the background to the false newspaper article that began this legal nightmare. The newspaper report that began the saga of the BC subpoenas appeared in The Sunday Life, a popular tabloid circulated in Northern Ireland, on February 21st, 2010 under the by-line of Ciaran Barnes. The report, splashed on the front page and continued inside, alleged that Dolours Price had been involved in the McConville disappearance and several other similar events and had admitted all this in a tape recorded interview. The article went on to claim that Dolours Price had given taped interviews to what Barnes called “Boston University” and he told his readers that he had heard tape recordings in which Dolours Price confessed her role. The piece was written in such a way as to lead the average reader to conclude that she had made these admissions on tape to BC and that Ciaran Barnes had listened to them; this assumption was subsequently shared by the PSNI and the US Department of Justice. To quote Ciaran Barnes’ report: “Price recently gave a series of interviews to academics from Boston University (sic) about her role in the IRA. These include admissions about her role in transporting some of the disappeared to their deaths. The interviews were given on the basis that they will not be published until after her death”, and “Price, who has made taped confessions of her role in the abductions to academics at Boston University, will relay this information to Independent Commission for Location of Victims’ Remains (ICLVR) investigators later this week”. And also: “Sunday Life has heard tape recordings made by Price in which she details the allegations against Adams and confesses her own involvement in a series of murders and secret burials”. In other words the official US Government stance was that The Sunday Life reporter, Ciaran Barnes had listened to Dolours Price’s interview with BC and had heard her confessing to the disappearance of Jean McConville and others. Presumably this is what the PSNI told the US government and presumably the US government believed it. The subpoenas served against BC were therefore justified, the US government argued. The truth is that the interviews that Anthony McIntyre conducted with Dolours Price are notable for the absence of any material that could ever have justified the subpoenas. In this respect it is worth remembering that when she was interviewed by McIntyre, Dolours Price was given the same confidentiality assurances as other interviewees, which was that whatever she said would not be revealed until her death. As the interviews with Brendan Hughes, later published in the book Voices From The Grave, graphically demonstrate this enabled interviewees to speak freely, fully and candidly and to talk honestly about their lives in the IRA. So what was the genesis of Ciaran Barnes’ shocking misreporting? Three days before his report appeared, on February 18th 2010, The Irish News, Northern Ireland’s daily Nationalist newspaper, published a lengthy series of articles based on an interview with Dolours Price conducted in Dublin earlier that week by one of the paper’s senior reporters, Allison Morris. The front page lead carried the headline: “Dolours Price’s trauma over IRA disappeared”. The interview was tape recorded and it has been my consistent belief throughout this affair that the tape recording that Ciaran Barnes listened to and upon which he based his Sunday Life article was Allison Morris’ tape. It certainly could not have been BC’s. Some background is needed here. When Dolours Price’s family heard that she had given an interview to Allison Morris they were alarmed. She had a history of psychiatric problems and substance abuse. She has been diagnosed with PTSD, had been hospitalized repeatedly and was taking strong psychotropic drugs. Indeed on the day she spoke to Morris she was on day leave from St Patrick’s Psychiatric Hospital in Dublin. Her family believed that in her mental state, and because of her anger over Gerry Adams’ disavowal of the IRA, she was capable of saying literally anything and getting herself into undeserved trouble. Most crucially of all, the Irish News couched its report in the context of Dolours Price taking the story of what she allegedly knew about the “disappeared” to the Independent Commission for the Location of Victims’ Remains (ICLVR), a body set up under the aegis of the peace process to deal with the vexed and troubling issue of victims ‘disappeared’ by the IRA. That was crucial because the ICLVR bestows immunity from prosecution and so Dolours Price would not be subjected to criminal prosecution as a result of anything she told the Commission. And The Irish News was careful not to implicate her directly in any criminal offence. I would like to place on record my belief is that the editor of The Irish News, Noel Doran behaved properly in all this. But sadly, the same cannot be said for his reporter Allison Morris. All would have been fine and I would not now be writing this statement and the courts in two jurisdictions would not have had their time taken up with the case of the BC subpoenas but for the fact that three days later, The Sunday Life took the story a stage further, adding garish and gruesome detail to The Irish News story and seemingly citing the BC interviews as the source for the story. The immediate effect of Ciaran Barnes’ reportage was to make the immunity deal arranged by Noel Doran and the ICLVR redundant. Dolours Price could not be prosecuted for what she told the commission but she could face charges over what Ciaran Barnes’ claimed she had told BC. So why do I believe that Ciaran Barnes got his story from Allison Morris? Well, first of all it could not have come from Anthony McIntyre’s interview with Dolours Price because it does not mention Jean McConville at all nor any of the other people disappeared by the IRA at the same time. So the idea that Barnes listened to the BC tape and used it as a source for his story is a sheer impossibility. So there was a tape of the Dolours Price interview. Given that we don’t know of any other interview that Dolours Price gave and that her interview with Anthony McIntyre made no mention of the material that made up the bulk of Ciaran Barnes’ report, suspicion must inevitably fall on Allison Morris as being the source. Barnes had to be quoting from Allison Morris’ tape because there was no other tape. There were no quotes from Dolours Price in the Irish News report of her interview with Allison Morris and that was understandable, given the deal that had been struck between her family and the paper’s editor. But why no quotes in the Ciaran Barnes’ article? After all he had seemingly gotten access to a sensational exclusive, a tape recorded interview made by a respectable and credible American college revealing the background to one of the Troubles’ most notorious killings, so why not use direct quotes from the interview to substantiate and add credibility to his story. It is what nearly every journalist I know would do, and certainly what a reputable reporter would do. Nor was he restrained by any deal made by his source or the source’s family with his editor. But he didn’t. So why not? Well put yourself in Ciaran Barnes’ shoes. He thinks he knows Dolours Price has given interviews to BC and he guesses that she must have covered the same ground as Allison Morris did, although he can’t know that for certain. But if he uses quotes from the Morris interview and pretends they came from BC then it will be a simple matter to prove he is lying by comparing the Boston interview with the quotes he publishes. If they don’t match then he is caught with his pants down. And once found out he and his paper could face legal retribution from one of America’s wealthiest colleges. Not a nice prospect; so far better to use no quotes. The effect of The Sunday Life story was to add lustre and credibility to Allison Morris’ scoop and not long after the two stories appeared, Allison Morris won two prestigious journalistic prizes, the National Union of Journalists’ Regional Journalist of the Year and a similar award from the Society of British Regional Editors. For each prize she submitted a three-article portfolio, one of which was her interview with Dolours Price. Now regarded as one of The Irish News’ star reporters, Allison Morris and Ciaran Barnes have come a long way since they both worked together and became friends in the west Belfast weekly, The Andersonstown News. As I was putting the pieces of this story together the Leveson Inquiry had begun hearing evidence about the hacking scandal involving Rupert Murdoch’s News International and I wrote a detailed email to Lord Leveson’s team asking that this episode be included in his investigation. I did so after taking legal advice and because his inquiry encompassed both the questionable practices of some journalists and the relationship between the media and the police. Unfortunately, this was not possible; the Leveson team told me that the appropriate place for hearings into “who did what to whom” would be in Part Two of his Inquiry which will happen if and when police investigations and criminal prosecutions have taken place. So maybe on another day the behaviour of Ciaran Barnes and Allison Morris will come under proper scrutiny. Aside from being an egregious case of media misbehavior, the reason I wanted Leveson to have a look at the Sunday Life-Irish News case was that the PSNI had seemingly made no effort to locate relevant material right on their doorstep - that is the Irish News interview with Dolours Price and the “tape” that Ciaran Barnes had claimed to have listened to. Instead they had ignored these local sources and opted instead to seek their evidence 3,000 miles away in Boston. Why? In my June 2011 affidavit I made it clear that I believed that Dolours Price’s interview with Allison Morris had been taped and that the tape had been passed on to Ciaran Barnes in The Sunday Life. And I added that there was no way that Ciaran Barnes could have heard her BC interview. Without spelling out the reality that Dolours Price had not talked about Jean McConville in her interviews with Anthony McIntyre, my affidavit clearly said that the basis of the subpoenas was flawed. When The Boston Globe published an editorial urging the college to hand over the tapes I emailed Tom Hachey, the head of the Irish Studies Center and the man in charge of the archive, asking if he or someone else from the college would respond. He did not reply, so myself and Anthony McIntyre asked The Boston Globe for the right to reply which they granted. Our article, published on August 23rd, 2011 had this to say, inter alia: “The subpoenas that have been served are based on an unproven assertion: that an interview given to the college by a former Irish Republican Army activist, Dolours Price, could shed light on a 40-year-old murder and should be surrendered. “The truth, however, is that the Police Service of Northern Ireland (PSNI), on whose behalf US Attorney Carmen M. Ortiz is acting, does not know what Dolours Price told BC’s interviewers. Neither does Ortiz. “They do not know because the legal basis for the subpoenas is deeply flawed, the result of either rank incompetence or sleight of hand. The authorities have justified the action by claiming that an interview with Price published in a Belfast newspaper in February 2010 about the murder was derived from her BC interview, when in fact it was based on a separate taped interview given directly to the newspaper. Price’s interviews have never been released by BC and never would be - because a guarantee of confidentiality was given to every interviewee. It must be clear to the reader now why we wrote those words. But the question remains, why had the PSNI not gone straight away to the source of those two stories in the Irish News and Sunday Life as soon as they were published? When I was subpoenaed in 1999 by Scotland Yard over the Billy Stobie case because of an article I wrote, the subpoena was served within days of publication. When Suzanne Breen was subpoenaed following an interview she had with the Real IRA, again it was served within days. But after the Irish News and Sunday Life articles appeared nothing happened and the PSNI sat on their hands. Let me be clear about one thing. While I utterly abhor the behavior of Allison Morris and Ciaran Barnes, I am not for one moment suggesting that The Irish News or Sunday Life should take our place in this awful legal ordeal. I would not wish that on anyone. I do not believe the police should have the right to demand any media material and I have long advocated for a shield law to protect the media. And had those two newspapers found themselves in our place I am sure they would have resisted and fought for confidentiality. In those circumstances I would have volunteered my support for them. What concerns me here is the behavior of the PSNI and the question of why they did not seek material nearer at hand than Boston College? It has been suggested that one reason is that the PSNI, battling for support from a suspicious Catholic community in the troubled wake of the peace process, is unwilling to confront and embarrass Northern Ireland’s largest Nationalist daily newspaper. Some have argued that this explains why the PSNI served subpoenas on Suzanne Breen when she wrote about dissident IRA matters but ignored Allison Morris when she wrote in a similar vein. I do not know if this explains why the PSNI went to BC rather than to The Irish News but it is an intriguing question. So what did the PSNI ever do about checking the veracity of the Irish News and Sunday Life articles and tracing their sources? Well, we know from Irish News editor Noel Doran’s article in TheWildGeese.com that, as he put it: “..... PSNI detectives did attempt to obtain the Irish News tape but were informed that we were no longer in possession of any such material”. Two things jump out from Morris’ article and both raise serious questions about the PSNI’s Crime Branch, currently led by Assistant Chief Constable Drew Harris, which is in charge of the Dolours Price investigation. The first is that the PSNI waited until June 2011, before it got round to checking with the Irish News about the paper’s interview with a person who is allegedly at the centre of one of Northern Ireland’s most notorious killings and the subject of an unprecedented transatlantic legal action. The Irish News interview appeared in February 2010, PSNI detectives eventually tracked down the newspaper in June 2011. That is a gap of fifteen months. Fifteen months! The other is the date, June 2011. What else happened in June 2011? Well one thing that did happen that month was that my affidavit, setting out the claim that the Sunday Life article was based on the Irish News’ taped interview with Dolours Price was lodged with the District Court in Boston and made available to the PSNI’s ally in this affair, the US Attorney’s office. Now it may be that a little bird landed on Drew Harris’ shoulder and whispered into his ear that he better send some of his guys round to the Irish News but I’d bet the mortgage that it was my affidavit landing on his desk c/o the US Attorney that sent detectives scurrying to Allison Morris’ desk. In impolite circles this is called ‘Covering Your Arse’. While we do not yet know whether the PSNI ever got round to talking to Ciaran Barnes about his sources there are really only two conclusions possible about the PSNI’s handling of this matter. One is that its Crime Branch is seriously incompetent. The other is that something more sinister is going on. I could speculate about what this could be but I won’t. But it ought to be investigated by someone. This was the reason I tried to refer all this to the Leveson inquiry. Either way the PSNI’s handling of the matter suggests that something is very seriously amiss in its Crime Branch. Throughout the last year or so of legal struggle myself and Anthony McIntyre knew full well that in her interviews as part of the Belfast Project, Dolours Price had made no mention of Jean McConville or her disappearance. But we were not alone. BC also knew this. The academics and administrators there knew that when Ciaran Barnes suggested that she had implicated herself in the McConville disappearance in her interviews with McIntyre that this was complete rubbish and possibly deliberate lies. In such disgraceful circumstances the claim that she had also admitted giving interviews to BC ought to have been treated with skepticism and at the very least Dolours Price should have been given the benefit of the doubt. 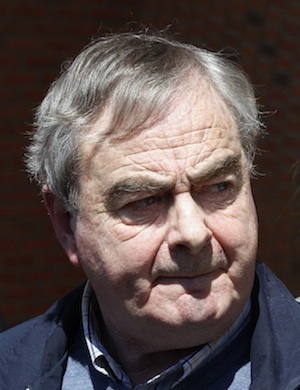 But BC chose to believe Ciaran Barnes in this matter despite the fact that his central charge against her was invented, that he had not produced one quote from her in his report to substantiate the claim that she had talked about her BC interviews, and that he even got the name of the college wrong, calling it “Boston University”. Having invented the contents of her interviews with BC, Ciaran Barnes could just as easily have made up the claim that she had admitted giving the interviews, especially if the goal was to hide the real source for his article, Allison Morris’ taped interview. The existence of the BC archive was well known by that time and Morris herself had phoned me more than once in early 2010 in an effort to learn what Brendan Hughes had said in his interviews, then about to be published in Voices From The Grave. It would have been natural to link Dolours Price with BC, or have guessed that she might be an interviewee, without having definite knowledge. Despite all this, BC decided to throw Dolours Price to the wolves. When the college eventually decided to launch a limited appeal to protect the content of other interviews subpoenaed by the PSNI, she was deliberately excluded on the grounds that she had compromised her confidentiality. Not one scintilla of evidence was provided, other than Ciaran Barnes’ yellow journalism, to back up this claim. Amidst the failure to stand by its own research project by fighting this case to the highest court in the land, the abandonment and disparagement of its researchers and research subjects and the failure to fight for academic freedom on behalf of all America’s scholars, this moment was surely the lowest in BC’s ignoble odyssey through the PSNI subpoenas.